Our clients can avail from us a wide range of Inconel 718, as we are engaged in supplying, exporting and trading these products in small as well in huge bulk. These products are well equipped and offer hurdle free service life. Inconel is a nickel-chromium alloy used for applications that require corrosion and high temperature resistance. This nickel alloy was designed for service temperatures from cryogenic to elevated temperatures in the range of 2000° F. It is non-magnetic, has excellent mechanical properties, and presents the desirable combination of high strength and good weldability under a wide range of temperatures. 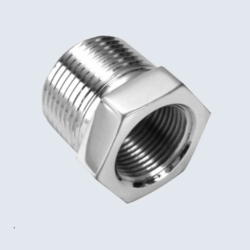 The high nickel content in Inconelenables it to retain considerable resistance under reducing conditions, makes it resistant to corrosion by a number of organic and inorganic compounds, gives it excellent resistance to chloride-ion stress-corrosion cracking and also provides excellent resistance to alkaline solutions. Typical applications of this nickel alloy include the chemical, pulp and paper, aerospace, nuclear engineering and heat treating industries. 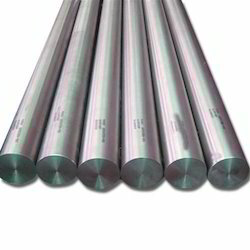 Inconel 718 Rod is a nickel-chromium-molybdenum alloy designed to resist a wide range of severely corrosive environments, pitting and crevice corrosion. This nickel steel alloy also displays exceptionally high yield, tensile, and creep-rupture properties at high temperatures. This nickel alloy is used from cryogenic temperatures up to long term service at 1200° F. One of the distinguishing features of Inconel 718’s composition is the addition of niobium to permit age hardening which allows annealing and welding without spontaneous hardening during heating and cooling. The addition of niobium acts with the molybdenum to stiffen the alloy’s matrix and provide high strength without a strengthening heat treatment. Other popular nickel-chromium alloys are age hardened through the addition of aluminum and titanium. This nickel steel alloy is readily fabricated and may be welded in either the annealed or precipitation (age) hardened condition. This superalloy is used in a variety of industries such as aerospace, chemical processing, marine engineering, pollution-control equipment, and nuclear reactors. Inconel is a nickel-chromium alloy used for applications that require corrosion and high temperature resistance. This nickel alloy was designed for service temperatures from cryogenic to elevated temperatures in the range of 2000° F. It is non-magnetic, has excellent mechanical properties, and presents the desirable combination of high strength and good weldability under a wide range of temperatures. 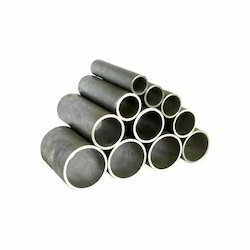 The high nickel content in Inconelenables it to retain considerable resistance under reducing conditions, makes it resistant to corrosion by a number of organic and inorganic compounds, gives it excellent resistance to chloride-ion stress-corrosion cracking and also provides excellent resistance to alkaline solutions. 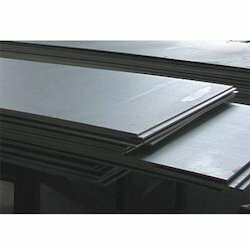 Being one of the leading companies, we are engaged in offering a wide range of Inconel 718 Sheet to meet the needs of our clients. These bars are sturdily constructed and are offered in different sizes, grades, hardness and dimensions as per the needs of our customers. For the diverse requirements of our clients, we are engaged in offering a wide range of Inconel 718 Tube. For the benefits of our customers, these products are rigorously tested on various parameters and are authenticated as per the international standards. These products are robust in construction and ensure error free service. We are one of the highly acclaimed companies that supply, trade and export a wide range of Inconel 718 Pipe to meet the needs of our clients. 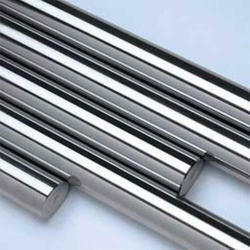 these bars are extremely rugged in state and ensure long lasting service life. Inconel Bars is a nickel-chromium-molybdenum alloy designed to resist a wide range of severely corrosive environments, pitting and crevice corrosion. This nickel steel alloy also displays exceptionally high yield, tensile, and creep-rupture properties at high temperatures. 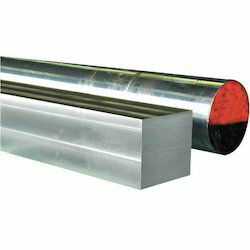 This nickel alloy is used from cryogenic temperatures up to long term service at 1200° F. One of the distinguishing features of Inconel 718’s composition is the addition of niobium to permit age hardening which allows annealing and welding without spontaneous hardening during heating and cooling. The addition of niobium acts with the molybdenum to stiffen the alloy’s matrix and provide high strength without a strengthening heat treatment. Other popular nickel-chromium alloys are age hardened through the addition of aluminum and titanium. This nickel steel alloy is readily fabricated and may be welded in either the annealed or precipitation (age) hardened condition. This superalloy is used in a variety of industries such as aerospace, chemical processing, marine engineering, pollution-control equipment, and nuclear reactors. We deals with Inconel 718 Plates. Inconel 718 is a nickel-chromium-molybdenum alloy designed to resist a wide range of severely corrosive environments, pitting and crevice corrosion. This nickel steel alloy also displays exceptionally high yield, tensile, and creep-rupture properties at high temperatures. This nickel alloy is used from cryogenic temperatures up to long term service at 1200° F. One of the distinguishing features of Inconel 718’s composition is the addition of niobium to permit age hardening which allows annealing and welding without spontaneous hardening during heating and cooling. The addition of niobium acts with the molybdenum to stiffen the alloy’s matrix and provide high strength without a strengthening heat treatment. Other popular nickel-chromium alloys are age hardened through the addition of aluminum and titanium. This nickel steel alloy is readily fabricated and may be welded in either the annealed or precipitation (age) hardened condition. This superalloy is used in a variety of industries such as aerospace, chemical processing, marine engineering, pollution-control equipment, and nuclear reactors.